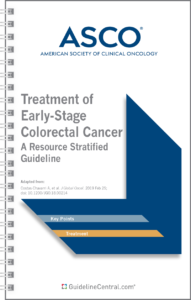 The Antiemetics GUIDELINES Pocket Guide is based on the latest guidelines of the American Society of Clinical Oncology and was developed with their collaboration. It contains graded recommendations for antiemetics in adults and children including tables of risk categories for chemotherapy and radiotherapy and cost of products. The development of increasingly effective antiemetic regimens over the last quarter century has greatly reduced the incidence of nausea and vomiting due to chemotherapy. The recommended approach to preventing nausea and vomiting varies by the emetic risk of the treatment regimen. Adherence to antiemetic guidelines has been linked with improved control of nausea and vomiting. Adult patients treated with cisplatin and other high-emetic-risk single agents should be offered a four-drug combination of an NK1 receptor antagonist, a serotonin (5-HT3) receptor antagonist , dexamethasone, and olanzapine . Dexamethasone and olanzapine should be continued on days 2–4 (Strong Recommendation; EB-H). Adult patients treated with an anthracycline combined with cyclophosphamide should be offered a four-drug combination of an NK1 receptor antagonist, a 5-HT3 receptor antagonist , dexamethasone, and olanzapine . Olanzapine should be continued on days 2–4 (Strong Recommendation; EB-H). Adult patients treated with carboplatin area under the curve (AUC) ≥4 mg/mL/min should be offered a three-drug combination of an NK1 receptor antagonist, a 5-HT3 receptor antagonist , and dexamethasone (Strong Recommendation; EB-H). Adult patients treated with moderate-emetic-risk antineoplastic agents (excluding carboplatin AUC ≥4 mg/mL/min) should be offered a two-drug combination of a 5-HT3 receptor antagonist (day 1) and dexamethasone (day 1) (Strong Recommendation; EB-H). Adult patients treated with cyclophosphamide, doxorubicin, oxaliplatin and other moderate-emetic-risk antineoplastic agents known to cause delayed nausea and vomiting may be offered dexamethasone on days 2–3 (Moderate Recommendation; IC-L). Adult patients treated with low-emetic-risk antineoplastic agents should be offered a single dose of a 5-HT3 receptor antagonist or a single 8-mg dose of dexamethasone before antineoplastic treatment (Moderate Recommendation; IC-L). Adult patients treated with minimal emetic risk antineoplastic agents should not be offered routine antiemetic prophylaxis (Moderate Recommendation; IC-L). Adult patients treated with antineoplastic combinations should be offered antiemetics appropriate for the component antineoplastic agent of greatest emetic risk (Moderate Recommendation; IC-I). Lorazepam is a useful adjunct to antiemetic drugs, but is not recommended as a single-agent antiemetic (Moderate Recommendation; IC-L). Evidence remains insufficient for a recommendation regarding medical marijuana for the prevention of nausea and vomiting in patients with cancer receiving chemotherapy or radiation therapy. Evidence is also insufficient for a recommendation regarding the use of medical marijuana in place of the tested and US Food and Drug Administration-approved cannabinoids dronabinol and nabilone for the treatment of nausea and vomiting caused by chemotherapy or radiation therapy. Evidence remains insufficient for a recommendation for or against the use of ginger, acupuncture/acupressure, and other complementary or alternative therapies for the prevention of nausea and vomiting in patients with cancer. Adult patients treated with high-dose chemotherapy and stem-cell or bone marrow transplantation should be offered a three-drug combination of an NK1 receptor antagonist, a 5-HT3 receptor antagonist , and dexamethasone (Strong Recommendation; EB-H). Adult patients treated with multiday antineoplastic agents should be offered antiemetics before treatment that are appropriate for the emetic risk of the antineoplastic agent given on each day of the antineoplastic treatment and for 2 days after completion of the antineoplastic regimen (Moderate Recommendation; EB-I). Adult patients treated with 4- or 5-day cisplatin regimens should be offered a three-drug combination of an NK1 receptor antagonist, a 5-HT3 receptor antagonist , and dexamethasone (Strong Recommendation; EB-H). For patients with breakthrough nausea or vomiting, clinicians should re-evaluate emetic risk, disease status, concurrent illnesses, and medications; and ascertain that the best regimen is being administered for the emetic risk (Moderate Recommendation; IC-L). Adult patients who experience nausea or vomiting despite optimal prophylaxis, and who did not receive olanzapine prophylactically, should be offered olanzapine in addition to continuing the standard antiemetic regimen (Moderate Recommendation; EB-I). Adult patients who experience nausea or vomiting despite optimal prophylaxis, and who have already received olanzapine, may be offered a drug of a different class (eg, an NK1 receptor antagonist, lorazepam or alprazolam, a dopamine receptor antagonist, dronabinol, or nabilone) in addition to continuing the standard antiemetic regimen (Moderate Recommendation; IC-I for dronabinol and nabilone, L otherwise). All patients should receive the most active antiemetic regimen appropriate for the antineoplastic agents being administered. Clinicians should use such regimens with initial antineoplastic treatment, rather than assessing the patient’s emetic response with less effective antiemetic treatment. If a patient experiences anticipatory emesis, clinicians may offer behavioral therapy with systematic desensitization (Moderate Recommendation; IC-L). Adult patients treated with high-emetic-risk radiation therapy should be offered a two-drug combination of a 5-HT3 receptor antagonist and dexamethasone before each fraction and on the day after each fraction, if radiation therapy is not planned for that day (Strong Recommendation; EB-H). Adult patients treated with moderate-emetic-risk radiation therapy should be offered a 5-HT3 receptor antagonist before each fraction, with or without dexamethasone before the first five fractions (Moderate Recommendation; EB-H). Adult patients treated with radiation therapy to the brain should be offered rescue dexamethasone therapy. Patients who are treated with radiation therapy to the head and neck, thorax, or pelvis should be offered rescue therapy with a 5-HT3 receptor antagonist , dexamethasone, or a dopamine receptor antagonist (Weak Recommendation; IC-L). Adult patients treated with minimal emetic risk radiation therapy should be offered rescue therapy with a 5-HT3 receptor antagonist , dexamethasone, or a dopamine receptor antagonist (Weak Recommendation; IC-L). Adult patients treated with concurrent radiation and antineoplastic agents should receive antiemetic therapy appropriate for the emetic risk level of the antineoplastic agents, unless the risk level of the radiation therapy is higher. During periods when prophylactic antiemetic therapy for the antineoplastic agents has ended, and ongoing radiation therapy would normally be managed with its own prophylactic therapy, patients should receive prophylactic therapy appropriate for the emetic risk of the radiation therapy until the next period of antineoplastic therapy, rather than receiving rescue therapy for the antineoplastic agents as needed (Moderate Recommendation; IC-I). of a 5-HT3 receptor antagonist, dexamethasone, and aprepitant (Strong Recommendation; EB-I). Pediatric patients treated with high-emetic-risk antineoplastic agents who are unable to receive aprepitant should be offered a two-drug combination of a 5-HT3 receptor antagonist and dexamethasone (Strong Recommendation; EB-I). Pediatric patients treated with high-emetic-risk antineoplastic agents who are unable to receive dexamethasone should be offered a two-drug combination of palonosetron and aprepitant (Strong Recommendation; EB-I). Pediatric patients treated with moderate-emetic-risk antineoplastic agents should be offered a two-drug combination of a 5-HT3 receptor antagonist and dexamethasone (Strong Recommendation; EB-I). Pediatric patients treated with moderate-emetic-risk antineoplastic agents who are unable to receive dexamethasone should be offered a two-drug combination of a 5-HT3 receptor antagonist and aprepitant (Weak Recommendation; EB-I). Pediatric patients treated with low-emetic-risk antineoplastic agents should be offered ondansetron or granisetron (Strong Recommendation; IC-L). Pediatric patients treated with minimal emetic risk antineoplastic agents should not be offered routine antiemetic prophylaxis (Strong Recommendation; IC-L). aNo direct evidence found for intravenous temozolomide. Since all sources indicate a similar safety profile to the oral formulation, the classification was based on oral temozolomide. bClassification refers to individual evidence from pediatric trials. a Classified emetic potential of oral agents based on a full course of therapy and not a single dose. Adapted from Jordan K et al: 2016 Updated MASCC/ESMO consensus recommendations: Emetic risk classification and evaluation of the emetogenicity of antineoplastic agents. Support Care Cancer 25:271-275, 2017, with permission of Springer. NOTE: For patients who receive multiday chemotherapy, clinicians must first determine the emetic risk of the agent(s) included in the regimen. Patients should receive the agent of the highest therapeutic index daily during chemotherapy and for 2 days thereafter. 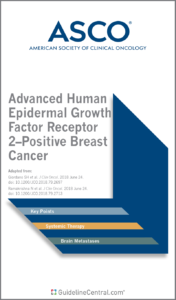 Patients can also be offered the granisetron transdermal patch or granisetron extended-release injection that deliver therapy over multiple days rather than taking a 5-HT 3 receptor antagonist daily. a If netupitant-palonosetron is used, no additional 5-HT 3 receptor antagonist is needed. b The dexamethasone dose is for patients who are receiving the recommended four-drug regimen for highly emetic chemotherapy. If patients do not receive an NK 1 receptor antagonist, the dexamethasone dose should be adjusted to 20 mg on day 1 and 16 mg on days 2–4. 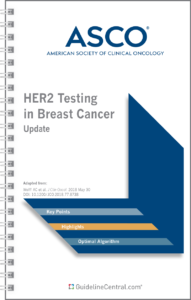 c In non-breast cancer populations (eg, non-Hodgkin lymphoma) receiving a combination of an anthracycline and cyclophosphamide with treatment regimens incorporating corticosteroids, the addition of palonosetron without the use of an NK 1 receptor antagonist and olanzapine is an option. d If carboplatin area under the curve is ≥4 mg/mL/min, add an NK 1 receptor antagonist to the 5-HT 3 receptor antagonist and dexamethasone. Dexamethasone dosing is day 1 only: 20 mg with rolapitant; 12 mg with aprepitant, fosaprepitant, or netupitant-palonosetron. e For moderate-emetic-risk agents with a known risk for delayed nausea and vomiting. f Patients treated with low-emetic-risk antineoplastic therapy should be offered a 5-HT 3 receptor antagonist OR dexamethasone. Ondansetron 8 mg oral or 8 mg oral dissolving tablet, or 8 mg oral soluble film or 8 mg or 0.15 mg/kg IV Use as prophylactic therapy. Once daily to twice daily on days of radiation therapy, with first dose given before radiation therapy. Once daily to twice daily on day after each day of radiation therapy, if radiation therapy is not planned for that day. Granisetron 2 mg oral or 1 mg or 0.01 mg/kg IV Use as prophylactic therapy. Once daily on days of radiation therapy, before radiation therapy. Once daily on day after each day of radiation therapy, if radiation therapy is not planned for that day. Dexamethasone 4 mg oral or IV Use as prophylactic therapy. Once daily on days of radiation therapy, before radiation therapy. Once daily on day following each day of radiation therapy, if radiation therapy is not planned for that day. Dexamethasone 4 mg oral or IV Use as prophylactic therapy. Once daily on days of first 5 radiation therapy fractions, before radiation therapy. a Either 5-HT3 receptor antagonist is appropriate. Palonosetron, dolasetron and tropisetron have been removed from the 2017 guideline since data on their use in high-emetic-risk radiation therapy are lacking. b Radiation therapy involving (at least in part) the anatomic region from the superior border of the 11th thoracic vertebra to the inferior border of the third lumbar vertebra. c Ondansetron or granisetron preferred due to larger body of evidence for these agents. Palonosetron and dolasetron have been removed from the 2017 guideline since sufficient data on their use in moderate-emetic-risk radiation therapy is lacking. d Monitor patients during radiation therapy schedules subning multiple weeks to detect symptoms experienced during interspersed days when radiation therapy and prophylaxis are not administered (eg, weekends) and to balance benefits and toxicities of prolonged 5-HT3 receptor antagonist therapy. e Corticosteroid is the preferred first agent for the brain. Any antiemetic class is appropriate for head and neck, thorax, and pelvis. f Either 5-HT3 receptor antagonist is appropriate. Palonosetron, dolasetron and tropisetron have been removed from the 2017 guideline since sufficient data on their use in low-emetic-risk radiation therapy are lacking. g Depending on the severity of symptoms and the remaining duration of radiation therapy, patients can receive subsequent rescue therapy as needed, or begin receiving prophylactic therapy for the remainder of radiation therapy. h Either dopamine receptor antagonist is appropriate. i Either 5-HT3 receptor antagonist is appropriate. Palonosetron, dolasetron, and tropisetron have been removed from the 2017 guideline since sufficient data on their use in minimal emetic risk radiation therapy are lacking. j Patients can receive rescue therapy as needed. Alternative explanations for symptoms should be investigated to avoid the need for prophylactic therapy for the remainder of radiation therapy. a Schedules were those recommended as antiemetic drug doses as of October 4, 2016. Prices per dose were for a single infusion or per pill for orally administered medications. Prices for infused drugs reimbursed through Medicare Part B only were identified from the 2016 Medicare Part B Drug Average Sales Price Data ( https://www.cms.gov/Medicare/Medicare-Fee-for-Service-Part-B-Drugs/McrPartBDrugAvgSalesPrice/index.html). Prices for orally administered drugs reimbursed through Medicare Part D were identified in the PlanFinder for a beneficiary living within ZIP code 10065 ( www.medicare.gov). To remain as consistent as possible with prior methodology, we selected a Humana PDP plan with the lowest cost for beneficiaries to identify the full cost of each drug (Bach PB. Limits on Medicare's ability to control rising spending on cancer drugs. The New England Journal of Medicine. 2009;360(6):626-33. AND https://www.mskcc.org/sites/default/files/node/25097/documents/methods-for-drug-price-calculations-12.9.15.pdf). Drug costs may vary by plan and by pharmacy where a prescription is filled (eg, preferred or nonpreferred pharmacies). In some cases, antiemetic coverage for orally administered drugs may be covered by either Part B or Part D. We have selected the Medicare Part D price in these cases. Note: drug prices are dynamic and the prices listed in the table may not reflect current prices. In some cases, the recorded out-of-pocket price per dose is equivalent to the price per cycle. This may represent a minimum price per fill set by the health plan. b Price information not yet available through Medicare. c Assume 3 days use, 12 pills per day.